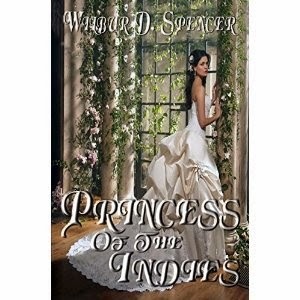 Wilbur D. Spencer's "Princess of the Indies" is a historical fiction set in the 19th century West Indies. Filled with adventure, intrigue, and seafaring, the story follows a British sailor who is shipwrecked in the Indies. In a quest to find the Princess of the Indies, he encounters pirates and other sources of danger throughout his journey. Written in first-person with a diary-like voice, you really get into the sailor's head, transporting you back to the time. I'd recommended this book for anyone who likes maritime/historical fiction novels!